I am an Apple fan, but I was actually quite excited about testing the Nexus 7. 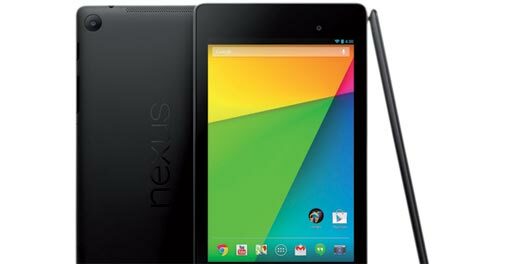 Developed in partnership with ASUS, Google has continued with the same name, Nexus 7, for its 2013 edition too. 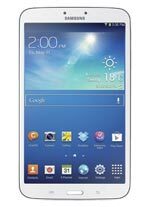 The best part about the tablet is that it packs in the latest version of the Android operating system. It also has good specs and costs less than Apple's iPad Mini with Retina Display. Unlike most 7-inch tablets in portrait mode, which are uncomfortable to hold in a single hand, the Nexus 7 easily fits in one hand. It has got a simple design, with the screen at the front and a matte finish black back. The headphone jack is at the top, power key and volume controls on the right panel, with the charging port at the bottom. The high resolution display is bright and sharp that makes reading text and watching multimedia content an enjoyable experience. It has even got wide-viewing angles. The basic function keys - back, home and multitasking - are placed at the bottom of the display, where they stay throughout. The touch response is good and I instantly got used to the onscreen keyboard. It has got multiple homescreens and all the apps are neatly placed in the application tray. A smooth performer, the Nexus 7 runs on Android KitKat. It quickly loaded pages on the Chrome web browser and I was able to play heavy graphic games without any lag. Other than the Play Store for downloading apps, there was also a Google Play Games icon. By clicking on it, I could play games and invite contacts from Google+ circles to compare scores. Similarly, Play Movies & TV and Play Magazines direct one to the dedicated pages on the Play Store. The tablet houses a Qualcomm Snapdragon quad-core chipset clocked at 1.5 Ghz and is paired with a 2 GB RAM. Available in 16 GB and 32 GB storage capacities, I received the former for review, which is Wi-Fi-enabled and doesn't support cellular connectivity. There is a 5 MP rear camera with auto focus that can be used for casual imaging. The performance is matched by a good battery backup that lasted over eight hours on a single charge. This is the best tablet in this price segment.